My friend Gerri & I have been meeting Mondays to work on our alleyways poems. We’ve moved into the presentation stage, even if we’re both still a bit uncertain re: the text. (I have five poems that are rather “eh;” (I don’t consider myself a poet-poet, recall.)) 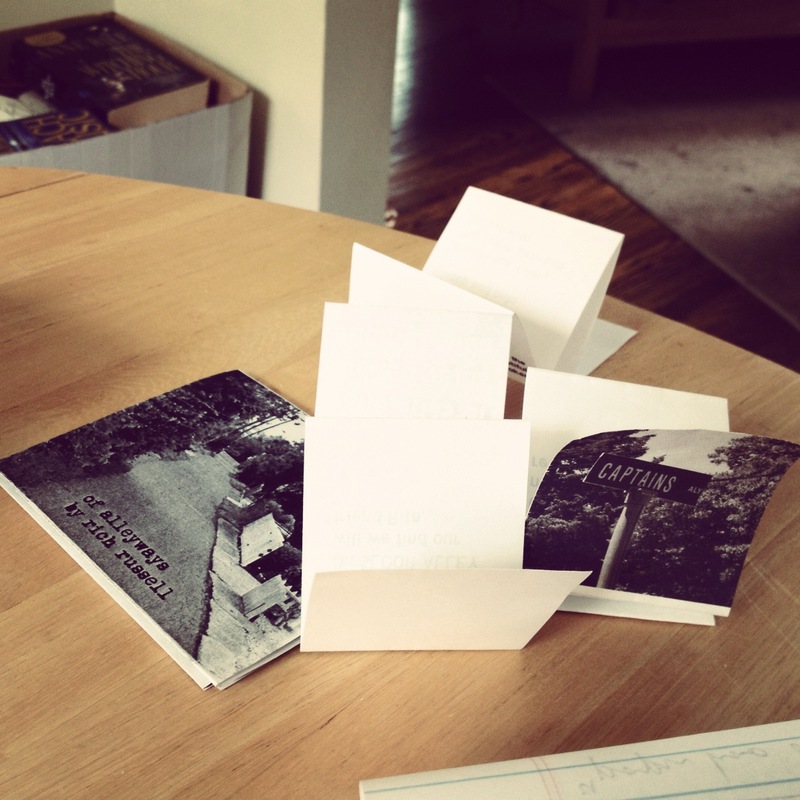 I’m making a smattering of zines (see Fig. 1) & collaborating with her on a box book (see Fig. 2), which will feature a bit of verse from me on the inside wall & some Gerri-prose on the outside. 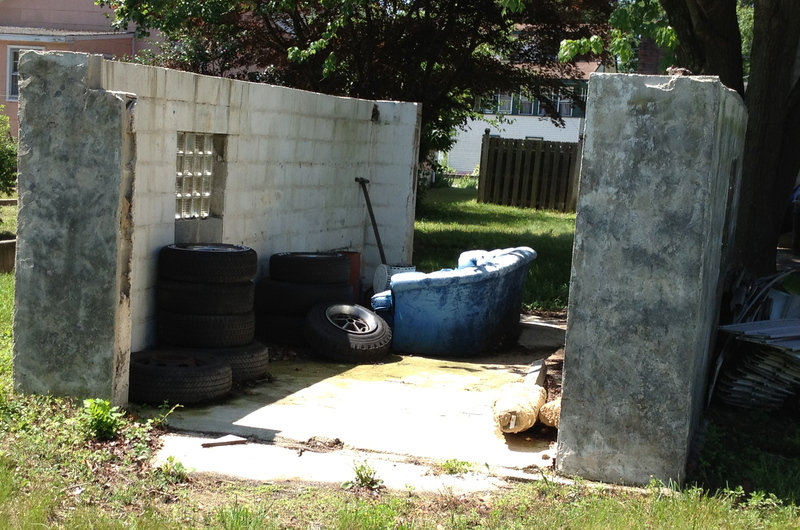 It’s modeled after the odd ruins of some garage that we came across in Scull Alley (see Fig. 3). Figure 1. Alleyzines in progress. Figure 2. 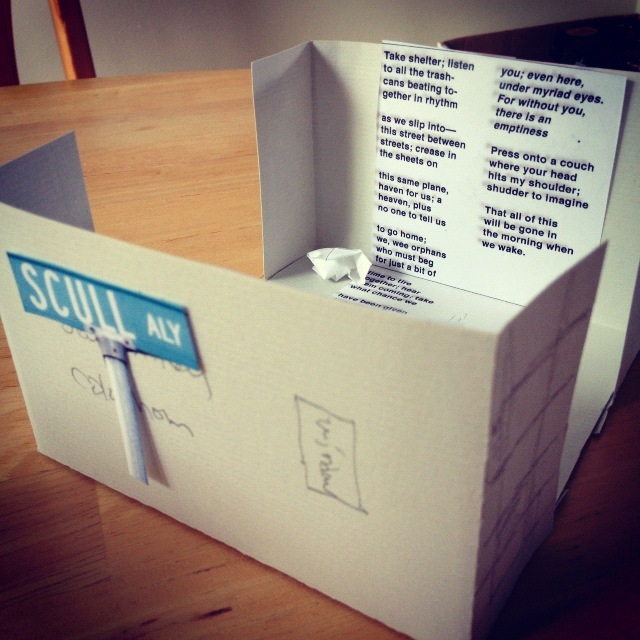 A model for the Scull Alley box book. Figure 3. Scull Alley ruins. This entry was posted in Alleyways (Summer '12), Bookmaking. Bookmark the permalink.